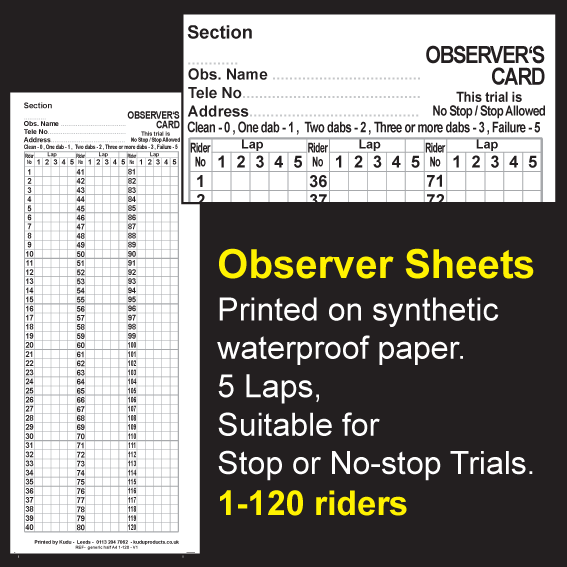 Motorcycle Trials Clubs are supplied with various items from Kudu, whether it be Super Durable Comfortable Punch cards, Programmes for events or Competition Numbers, Waterproof Observer Sheets and now ACU Signage. These items are generally despatch within 3 working days to any UK address at cost . 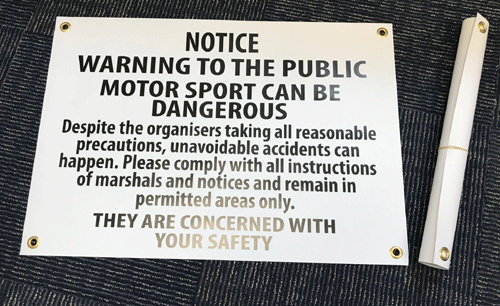 At the entrances to every Motorcyle Trial, the organising Club should display one of these signs. We supply these as an eyeletted banner, with tidy device (rubber band) or corex board of the official size of 29" x 20"
If you would like us to contact you ,please fill in the contact page and we will be pleased to ring or email you. Periodically we will post or email information about our products, any prices contained within that information is only valid for 30days from the date sent unless otherwise agreed. Prices quoted are excluding Vat and carriage.